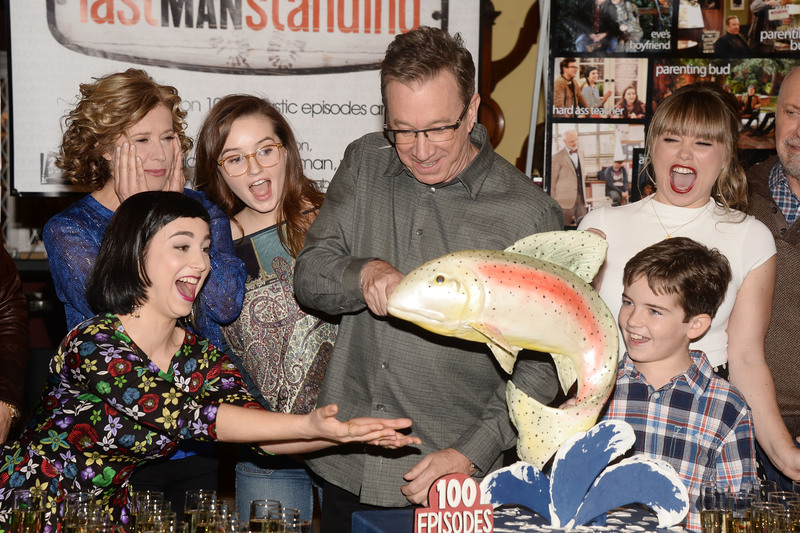 With the Season 5 finale for ABC’s Last Man Standing on Friday, April 22, fans might be starting to wonder if this is it for the show. Though the series has had loyal fans for more than 100 episodes, viewers may be asking, will Last Man Standing return for Season 6? According to when-will.net, a site which patrols the renewal news for all of television, ABC has yet to cancel or renew Last Man Standing . While fans wait for news from the network about the show’s future, they can tune in for a hopefully satisfying Season 5 finale on April 22. It's worth noting that with such a steady viewership, fans of the show (and Tim Allen) probably don’t have a lot to worry about. In November 2015, Deadline reported that the show was winning its 8 p.m. time slot and matching ratings highs. Of course, this isn’t the first successful ABC family show for Allen, as he starred as Tim, the Tool Man, Taylor on Home Improvement — not to be confused with the title of the show within the show, Tool Time. So, with Allen’s successful second TV family in mind, what other ‘90s sitcom dads can we still see on TV? Here are what a few of our favorite TV dads have been up to lately. Uncle Jesse is alive and well on Fuller House, with other amazing TV dad Danny Tanner (Bob Saget) and honorary TV dad Joey (Dave Coulier). He is also doing TV dad double duty in 2016 on the aptly titled Fox show Grandfathered. While Steve isn’t as into scripted television these days, it feels like he is on every channel as a host, whether it be his own talk show, Family Feud, reality TV, or an award show. Ed O’Neill’s Modern Family parenting style is pretty different from his role as patriarch of the Bundy family. Not much has changed in Springfield. The comedic star of Coach’s most recent portrayal of fatherhood on Parenthood had me bawling almost every week. While goofy Ray also had a dramedy makeover on NBC’s recent hit Parenthood, his biggest change yet is his new HBO series Vinyl, where he engages in some very undad-like behavior. OK, so Malcolm In The Middle technically premiered in 2000. But how could I leave this almost cartoon-like sitcom dad’s transformation into Walter White off the list? Seriously, the man is a chameleon. Catch one of the great '90s dads parenting millennials on Last Man Standing Friday, April 22.